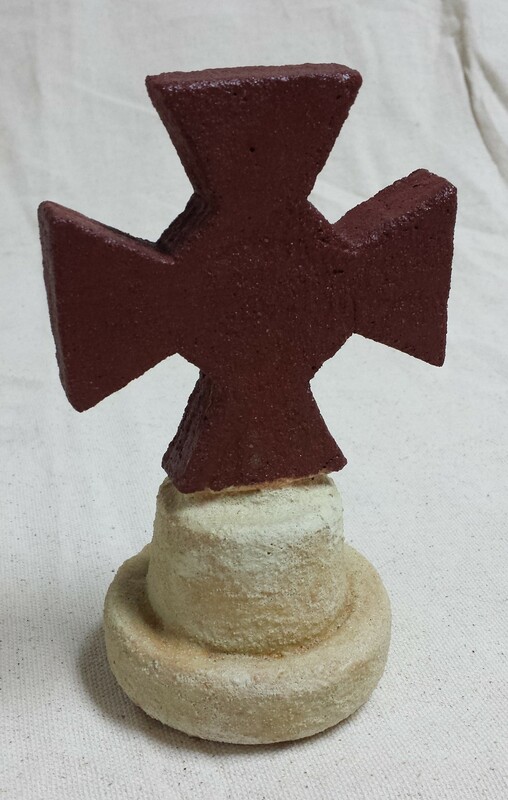 Red Templar cross on white base. 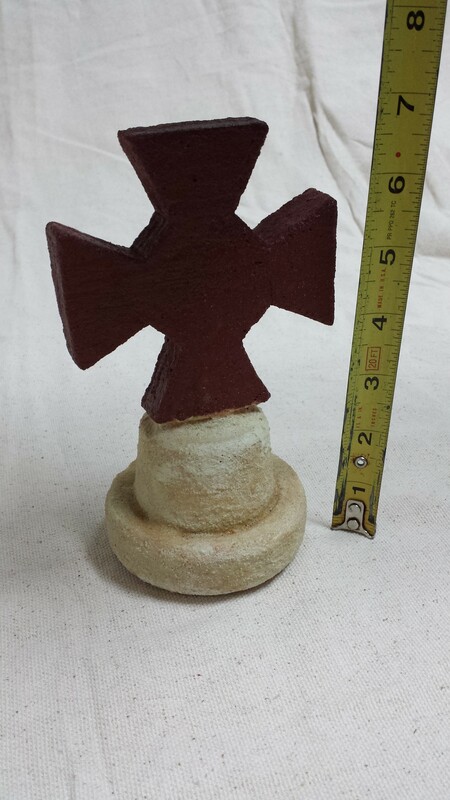 Deep red color and stands 6.5 inches tall. It weighs 1.5 pounds.